Shanghai Fastener & Tech Show 2018! Fastener Shanghai – Shanghai Fastener & Tech Show 2018 will take place from September 26-29, 2018 at Shanghai New International Expo Center, China. Jointly organized by China Fastener Info, Messe Düsseldorf (Shanghai) Co., Ltd. and Shanghai Electric Cable Research Institute Co., Ltd., Fastener Shanghai – Shanghai Fastener & Tech Show 2018 will take place from September 26-29, 2018 at Shanghai New International Expo Center, China. Concurrently with Asia’s largest and most international trade fair for wire and tube industries – wire & Tube China, Fastener Shanghai – Shanghai Fastener & Tech Show 2018 is designed to open up upstream and downstream channels to create a one-stop sourcing platform for fastener products, manufacturing equipment and raw materials. Products to be showcased at this high-quality platform will mainly focus on the following categories: standard and non-standard fasteners, fasteners in various industries, manufacturing skills of fasteners, supporting facilities of fasteners. Here is a glance of some of the confirmed exhibitors: Zhejiang Yeswin, Ningbo Sijin Intelligent, Dongguan Biing Feng, Ningbo Weifeng, Yuyao Xintai, Dongguan STL, Zhejiang Chuangxin, Wuxi Anshida, Dongguan Boito, Bonuts Hardware, Yantai Jailoone, OUCE, Wenzhou Jianzi, Ruian Xintai, Ningbo Lingqi, Guangdong Hejin, Shanghai Bairoe, Zhuji Huangshan, Jiashan San Yung, Ruian Zhufeng, etc. Among them are many manufacturers who are looking to enhance their presence at the exhibition by increasing their display area. 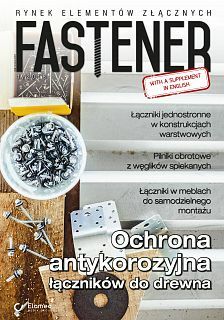 This not only reflects Fastener Shanghai’s industry appeal, but also the positive trend in the fastener market! In addition, Fastener Shanghai – Shanghai Fastener & Tech Show 2018 will also present special regional pavilions, such as Pinghu, Jiashan, etc. demonstrating their local industrial advantages. 46,000 professional buyers will be gathering at Shanghai in September! The biennial Fastener Shanghai – Shanghai Fastener & Tech Show is set to be one of the most important gatherings in the fastener industry. It is estimated that 3 events (including Fastener Shanghai – Shanghai Fastener & Tech Show 2018, wire China 2018, Tube China 2018) will attract 46,000 professional visitors from 95 countries and regions. Whether you’re here to source, find partners, or familiarize yourself with the Chinese fastener market; your expectations will surely be met at Fastener Shanghai – Shanghai Fastener & Tech Show 2018. Register now for FREE Admission, FREE Show Catalog and Souvenir! Please visit official website www.fastenertradeshow.net to finish the online visitor registration. You will receive a confirmation letter with your register code and please claim for your badge by this letter at 'PRE-REGISTERED VISITOR' counter onsite.